STRENGTHENING STORM FRONT WILL BRING WINTER WEATHER AND LOCALIZED COASTAL FLOODING EXPECTED CHRISTMAS EVE THROUGH CHRISTMAS NIGHT. 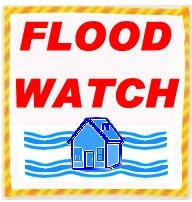 A COASTAL FLOOD WATCH MEANS THAT CONDITIONS FAVORABLE FOR FLOODING ARE EXPECTED TO DEVELOP. 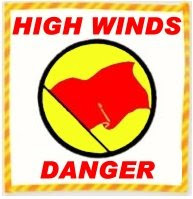 COASTAL RESIDENTS SHOULD BE ALERT FOR LATER STATEMENTS OR WARNINGS...AND TAKE ACTION TO PROTECT PROPERTY. Description: IN ADDITION TO THE WINTER WEATHER...ENORMOUS SURF WILL POUND THE SHORES. BREAKERS OF 30 TO 35 FEET COMBINED WITH A 7.4 FOOT HIGH TIDE MAY PRODUCE LOCALIZED COASTAL FLOODING. THE STORM WILL NOT GENERATE THE WINDS TO SUPPORT WIDESPREAD FLOODING...BUT AREAS PRONE TO COASTAL FLOODING MAY BE AFFECTED BY RISING WATER. Instructions:A PACIFIC STORM WILL BRING COLD AND WET WEATHER CHRISTMAS EVE THROUGH CHRISTMAS NIGHT. ISOLATED THUNDERSTORMS ARE POSSIBLE AND SOME OF THE HEAVIER RAIN SHOWERS MAY CONTAIN SMALL HAIL. THE ROADWAYS MAY BECOME ICY AS THE TEMPERATURES COOL CHRISTMAS NIGHT. IF ENCOUNTERING HAIL OR ICE... SLOW DOWN GRADUALLY. SUDDEN BRAKING CAN CAUSE YOUR CAR TO SPIN OUT OF CONTROL.